You know what it's like when you keep telling people some story about when you were younger, but after a while you begin to wonder if it every really happened? I have to admit that as I get older this does happen a bit. One of my abiding memories of secondary school – a big comprehensive in Liverpool – was an English teacher called Mr Burrows passing a school exercise book around the class one day when I was about fourteen or fifteen. 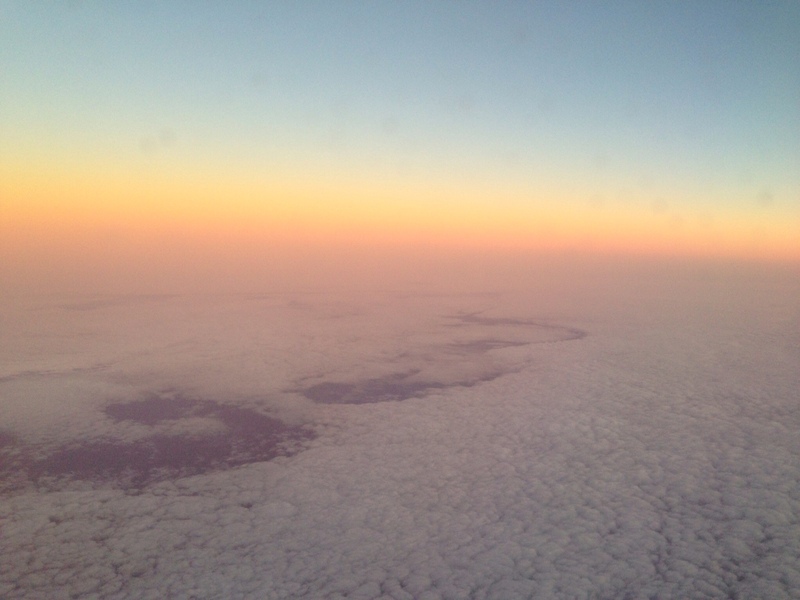 We just glanced at it, flipped the pages and passed it on. Old Mr Burrows kept telling us to keep scribbling, keep writing things down, keep doodling, keep being creative. I think we were just bored teenagers. The reason it has stuck in my memory is that the book he passed round had belonged to John Lennon and was full of his scribblings. Mr Burrows had taught him English. Now, I think I started to doubt whether this ever happened simply because nobody really believed me. But, then I read an epic biography of John Lennon and there it was in black and white. All true. Of course, now I wish I'd paid more attention. Or, at least, nicked the book. But, Mr Burrows' point was well made and I never forgot it. 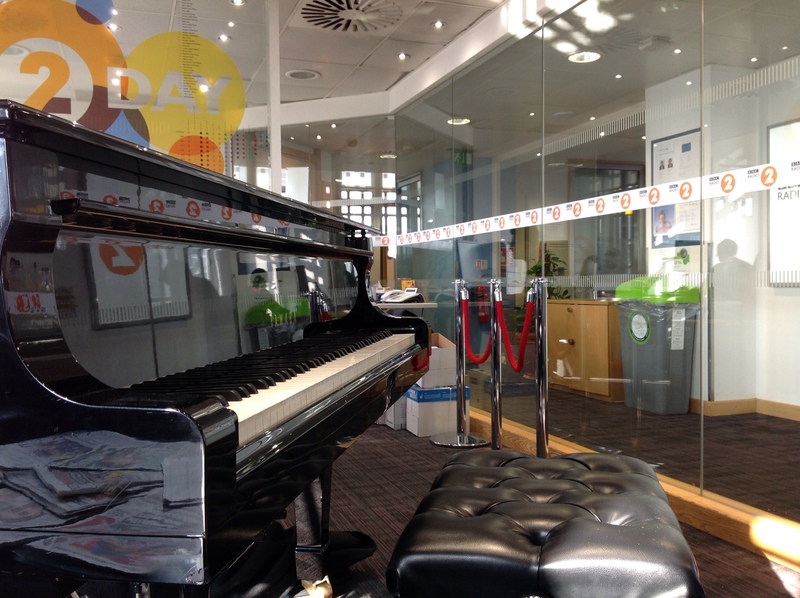 Being creative is something some of us have to practise – it sort of doesn't come naturally. And yet, we are born to be creative. This is partly what is meant way back in the book of Genesis in the Bible when, in that great poetic account of what made human beings be human, it says that we are “made in the image of God” – who can't help creating and to loving what is created. This actually lies at the heart of a Christian response to things like the disappearance of the Malaysian aircraft and the human tragedy of it all. Every person matters because they are made this way and loved infinitely for no other reason. So, I am with John Lennon and Mr Burrows. Keep on doodling. We're made for it. Well, what is needed now is a clear timeline or framework of work for the next few months. We need to know when the 'appointed day' will be and then work back to timetable all the necessary, legal, financial, consultative and preparatory work in. The three dioceses need now to continue the conversations that have been going on for the last couple of years. It is an exciting time. However, while the preparatory work is being done, there might be a short delay in communicating detailed timelines. We need to take a breath, keep doing our work of worship, mission and ministry in West Yorkshire and the Dales, and then – probably in the early autumn, if not sooner – give more definite and clear detail to our parishes and communities. A key figure in all of this is the Programme Manager who has been working with us for eighteen months and discovering just how weird the polity and processes of the Church of England are. John Tuckett brings experience, wisdom, clarity, articulacy and excellent skills of communication, strategic thinking and attention to detail whilst holding the big picture. His contribution to getting us here has been appropriate (convening conversations, doing research, planning on our behalf, and always with the consent of the bishops). His contribution in the next phase of the process will be vital to the success of the scheme. All three dioceses now have an answer to the unsettling question put by the Dioceses Commission three years ago. Wakefield, particularly, now needs space to face the new reality. The rest of us want to get on with it and to work closely with all three dioceses to create the new diocese and move things on. I am very confident this can be done. It is a good day. Even if the Synod is now back onto internal electoral matters, something changed yesterday. And Luis Suarez might stay at Anfield, after all. Today marks the 28th anniversary of the fire that killed 56 and injured over 265 people during a football match in Bradford. The city marks the event each year, led by the Cathedral. These sorts of scars remain for generations. I remember coming back to Bradford for a six-week parish placement at the end of my first year at theological college in 1985. There were men in the church who had to go to Pinderfields Hospital almost daily to get their burns treated – one of them whose head had been 'melted' by dripping bitumen from the roof. I had studied modern languages at Bradford University from 1976-80, so knew the city well. I had come from Liverpool where, later, another stadium disaster would scar a city and the nation. In 1989 96 people were crushed to death in the now infamous (and ongoing) Hillsborough debacle. Only now is justice beginning to be done, whilst the families see some light at the end of a cruel and unnecessarily long tunnel. Both these disasters led to radical re-thinking about the design and construction of football stadia. Safety became the priority – which makes it boggling that the well-being of the paying customers had not been previously. Going to a game in England these days is a totally different experience from thirty years ago. 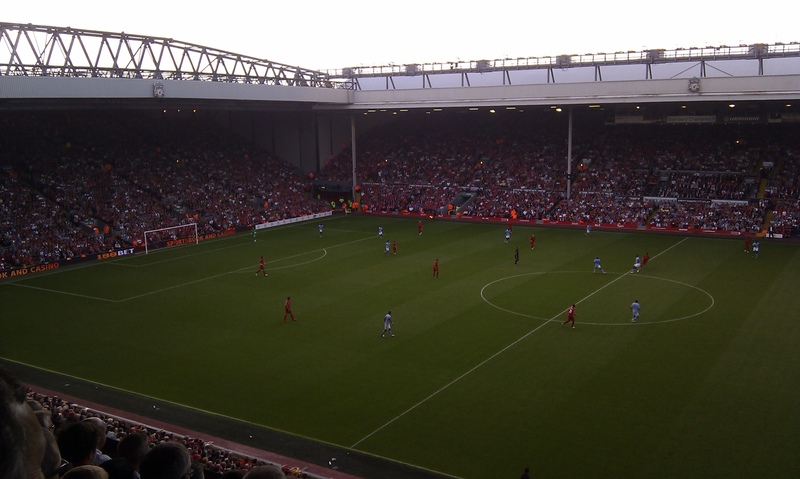 OK, I still miss being able to stand on the Kop at Anfield (rather than sit, that is), but you generally feel safe and that the signage, etc has been seen through the eyes of the punters. Perhaps none of this would have happened had these two stadium disasters not happened. We learn from what goes wrong. But, the changed rules about ground construction and crowd safety came at the cost of considerable suffering on the part of people who in 1985 and 1989 set off (or watched their family go) to watch a footie match. The scars will not heal quickly. Further on in the two-and-a-half hour journey and I got another lesson in how not to jump to conclusions… or misreadings. The road runs alongside the Blue Nile and either side of it runs a sort of 'ribbon development' in the making (as well millions of plastic bags and bottles, accompanied by an exotic range of animal carcasses at various stages of decay). 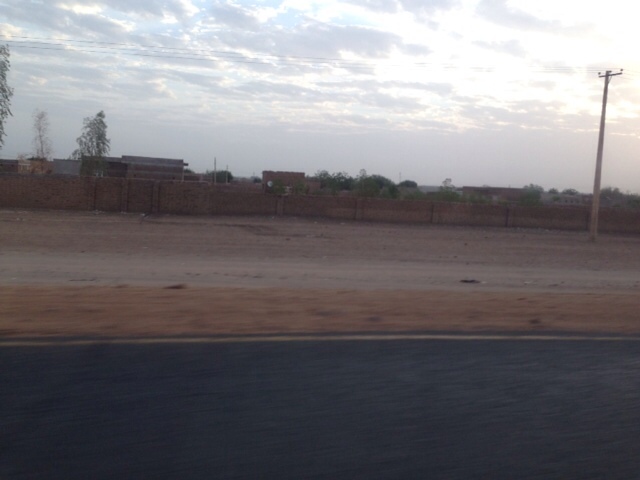 What I thought I was looking at as we drove (hairily, at 60mph, as if we were playing dodgems) was strings of derelict buildings surrounded by low and deserted compound walls. Another bit of unfinished or neglected infrastructure? Or evidence of communities now abandoned because of conflict or expulsions? Neither, in fact. These were buildings and walls in process of being constructed. What I saw as falling down was actually being built up. My prejudices – of which I am not proud – were confounded yet again. And it made me wonder how many other such judgements I make that reality might embarrass. All I did was ask the Bishop of Khartoum (our host) and he, unaware of my thinking, just told me people find it cheaper to buy land and gradually build houses outside the city. I didn't know how to read what I saw. Having cleared that up – and resolving to ask before judging – we received wonderful and generous hospitality at the Cathedral in Wad Medani. 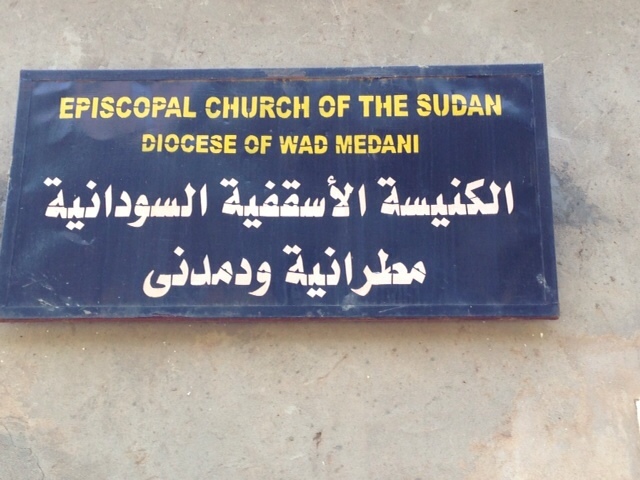 This diocese was established only a couple of years ago, carved out of Khartoum which was imply too big. It is still enormous. And it still covers territory that is currently subject to war – creating enormous numbers of displaced people. All the clergy, including the Diocesan Bishop, are volunteers – they are setting the whole thing up from scratch and, already poor, have next to nothing. But, what they do have is faith in God, a strong commitment to serve the people of that area, and a refusal to give in to any easy option. They are remarkable. Why is it always the church that runs (for example) literacy projects and creates community for people who don't belong to them? It seems that wherever you go in the world, the church is there, using its often meagre resources for the betterment of their people. At the moment this diocese depends on links with dioceses like mine even to produce a modicum of working capital. They are explicit about wanting to be self-sufficient, but need to get the resources (for example, build shops and a guest house on their land in order to raise a little revenue to then be able to fund clergy and further sustainable projects). If you know anyone rich who wants to see some cash go to very impressive people in a tough part of the world, point them in my direction. And now for a meeting with the bishops of Sudan – excluding the Bishop of Kadugli who is now based in the South and cannot return to his own diocese because of the war going on there. More anon. One of the things that winds me up is when people say that it's actions, not words, that matter. It assumes that words are somehow not actions. They are. Much language is performative: it makes happen what it says. I have been sitting in the decisive House of Bishops meeting in Oxford discussing (seriously, constructively, intelligently and eirenically) the proposed wording of an amendment to the wording of the draft legislation to allow women to become bishops. The consensus on the way ahead was overwhelming and this will be evident in the statements being issued shortly. I don't want to preempt that, but I only have a few minutes to write this and then go to my next engagement. However, we leave Oxford having taken words apart and debated meanings. Words matter – as is evident if you ever get them wrong or use the wrong ones. But, what shares my mental and emotional space today is not bishops, but Liverpool. The Hillsborough Inquiry has reported (excellent work led by the excellent Bishop of Liverpool) and it is deeply shocking. The gracious and poignant dignity, perseverance and faithfulness of those family members bereaved at Hillsborough stands in remarkable contrast to the cover up by police, emergency services, politicians and others. The then editor of the Sun, Kelvin MacKenzie, must have made his position worse with a statement of such vacuous blame-throwing insincerity that I read it with incredulity. The cry for justice has now been heard. But why did it take 23 years? Simple words of apology from the Prime Minister matter. He has admitted the offence and has, therefore, performed a vital act for the families and the rest of us: he has articulated and set the course for the next period of life. At last. 23 years for words to be uttered that might just allow the beginning of healing. 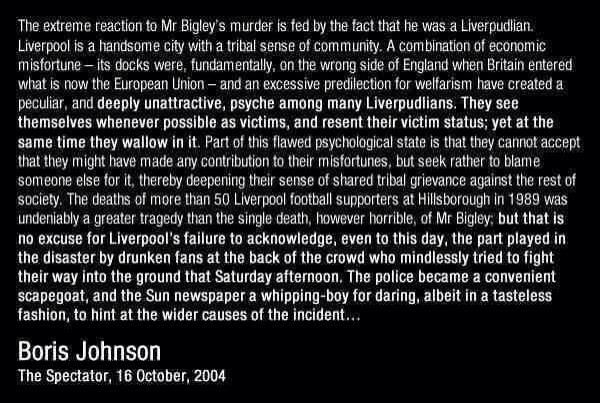 It is eight years since Boris Johnson commented so helpfully on the Liverpudlian psyche. I suggest a moment's silence while we consider it and await his apology.